Authentic New York Bagels by Davidovich are always appreciated. 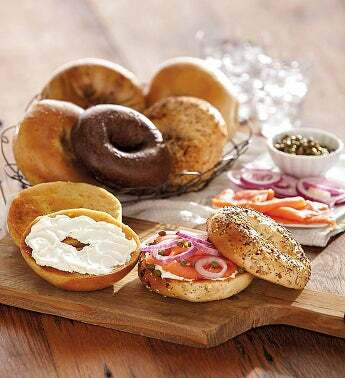 Baker artisans have perfected the craft and hand-roll each bagel individually. The bagels are then kettle-boiled and baked in the oven on wooden planks. Made from all-natural ingredients, this classic gourmet assortment includes five bagels of each flavor: Plain, Cinnamon Raisin, Everything, and Whole Wheat. Kosher, OK.